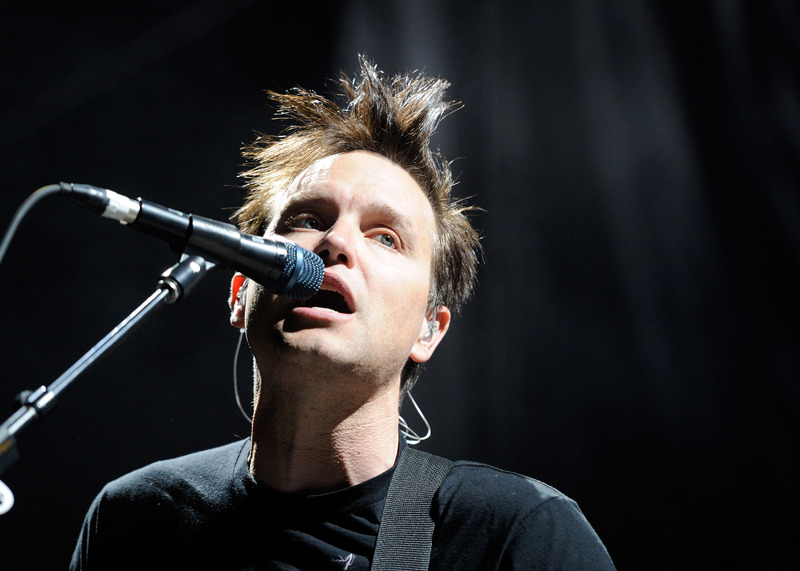 Blink-182 is finally back and new music is on its way. However, it's been quite the journey for the pop-punk trio band. They took a four year hiatus, lasting from 2005 until their 2009 reunion tour, followed by the 2011 release of the album, Neighborhoods, followed by Tom DeLonge's departure from the band in early 2015. Now, nearly five years later, the boys are gearing up for their seventh studio album, but, this time around, original members, Travis Barker and Mark Hoppus, are joined by Alkaline Trio's Matt Skiba in place of DeLonge. Blink-182's latest album, titled California, is both highly-anticipated and altogether nerve-racking for long-time fans. So, when will California be released? Start preparing yourselves already. According to the band's official music site, California will be available on July 1, 2016. The summer release date falls right before they set out on their already scheduled U.S. Tour — launching in San Diego, CA on July 22nd with special guests All American Rejects, A Day to Remember, All Time Low, and DJ Spider. And, while it's not yet clear if any of the bands following them on tour will be featured in the album, the 16-song California track list is already up on iTunes and available for pre-order. Their latest single, "Bored To Death," is currently available for purchase and on YouTube if you want to get a better idea of what their new Matt Skiba-featured sound will be like. However, while the album will be out on iTunes as of July 1, it is also expected to be available through Amazon, Google Play, Apple Music, and on Spotify. So blast "Bored To Death" on your iPod, bring back all of that Blink-182 music you have stored away somewhere on your computer, and get out your skinny jeans. It's less than two months until your five year long wait for new Blink-182 music will finally be coming to an end.